If You Have Been Arrested and Charged With DUI in The State of Ohio It's Crucial That You Contact a Skilled Cleveland OVI Lawyer. We Will Come To You! Your Rights Are at Stake! In America, an average of 900,000 people are arrested each year for driving under the influence of drugs or alcohol and a full 1/3 of those are repeat offenders. A skilled criminal defense attorney will help you understand what you are facing in court, and the penalties and fees you may be required to pay. 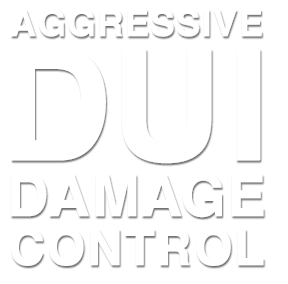 The DUI Defense lawyers at Quinn Legal Associates, INC offer each and every one of our clients an experienced, aggressive OVI defense to those who have been arrested and charged with driving under the influence throughout Northern Ohio. The skilled Ohio DUI attorneys at Quinn Legal Associates, INC are dedicated to defending your rights and protecting your future. Leave no stone uncovered when it comes to your future. When selecting an Ohio DUI defense attorney, your main concern needs to be: “Will this DUI defense lawyer get me good results?” The DUI/OVI Defense Attorneys at Quinn Legal Associates provide aggressive, experienced defense to DUI / OVI charges and are dedicated to defending your rights and interests, therefor you should always consider seeking out the advice of an experienced Ohio DUI lawyer who deals with DUI / OVI matters and knows the process inside and out – including options that a public defender may not tell you. The defense to your DUI / OVI charge is your future. Most importantly we take a detailed and tactical approach to each and every case leaving nothing unchecked and no defense untouched because regardless of how poorly the circumstances of your case looks, the attorneys at Quinn Legal Associates will strive to find any legal defense which many not be apparent to you or other law firms. A DUI / OVI conviction in Ohio can and will be costly. The penalties of a Ohio DUI conviction depend upon your previous criminal record, the quantity of alcohol within your blood system, along with the specifics of your OVI case. Most importantly should you have prior DUI / OVI convictions or high levels of alcohol in your system at time of your arrest can increase the penalties of a conviction. At a minimum, you will receive a license suspension, 3 days behind bars or 3 day driver intervention program and a fine of around $1,000.00. More than one drunken driving conviction will make the penalties much worse. As an example, a 3rd OVI requires a minimum of 30 successive days behind bars (up to a max of 1 year), a fine of over $2,500.00, car forfeiture, and a minimum of 2 years driver’s license suspension. Ohio DUI Attorney Located in Cleveland OH Providing Skilled Legal Defense Representation to Those Accused of OVI. You should understand that the Ohio DUI laws state that if you are convicted of Operating Vehicle while Intoxicated, this conviction stays on your record for life. As you can see Ohio DUI laws are serious. If you have actually been booked for DRUNK DRIVING, you need to do one thing as soon as possible: obtain a qualified DUI attorney immediately. Been convicted of a previous Ohio DUI / OVI Charge? Multiple driving under the influence conviction is going to make the penalties of a additional DUI conviction even worse. For example, a 3rd DUI will require a minimum of 30 consecutive days in jail (up to a maximum of One year), a fine of over $2,500.00, vehicle forfeiture, along with a minimum of 2 years driver’s license revocation. Ohio OVI laws state that if you should be convicted of Operating Vehicle while Intoxicated, that this conviction will remain on your criminal record for the rest of your life. Ohio DUI laws are serious and the penalties are severe. The single most important thing that you can do for yourself is to seek out the advice of a qualified Ohio DUI attorney who knows the applicable laws and can help guide you through the legal process. Ohio DUI / OVI laws are complicated. The penalties are severe. Be certain you select a skilled and caring Cleveland, OH DUI / OVI defense lawyer. The team of DUI/OVI attorneys at Quinn Legal Associates, Inc. is ready, willing, and want to answer any question you have about your case and the law. However, whether you retain this firm or another, the importance of retaining a skilled OVI lawyer that you trust as soon as possible cannot be over-emphasized. If you or someone you know is charged with a DUI/OVI or other criminal charges, you may be confused and unclear about where to begin as well as whether or not you should talk to law enforcement. You’d like to know just what your options are. Seek the advice of a skilled Ohio DUI lawyer who has the skill and knowledge to successfully defend your rights. Ohio attorney Patrick D. Quinn is an expert in OVI/DUI cases. If you have been arrested and charged with an Ohio OVI / DUI, he will attack the State’s breath test and try to have it thrown out. If you are charged with a simple OVI/DUI, he will create reasonable doubt as to whether or not you were impaired to try to resolve your case favorably. Contact Us We Will Come To You. Thank you Ron for helping us out. No points no problems everything solved very professionally.